Diplomatic relations between Sri Lanka and the Republic of Cuba were established on 29th July 1959 following the recognition of the new revolutionary Government of Cuba led by Fidel Castro. Cuba established its resident diplomatic Mission in Colombo in 1960 while the Sri Lanka Embassy in Havana was established on 10th March 1987 following the arrival of Vice Admiral A.H.A De Silva, first Ambassador in Havana. He presented his credentials to His Excellency the Vice President Dr. Carlos Rafael Rodríguez on 13th March 1987. The Sri Lanka Ambassador in Havana is also concurrently accredited to nine other Latin American countries. They are the Bolivarian Republic of Venezuela, Republic of Ecuador, Dominican Republic, Jamaica, Republic of El Salvador, Republic of Honduras, Commonwealth of Dominica, Republic of Panama and the Republic of Haiti. 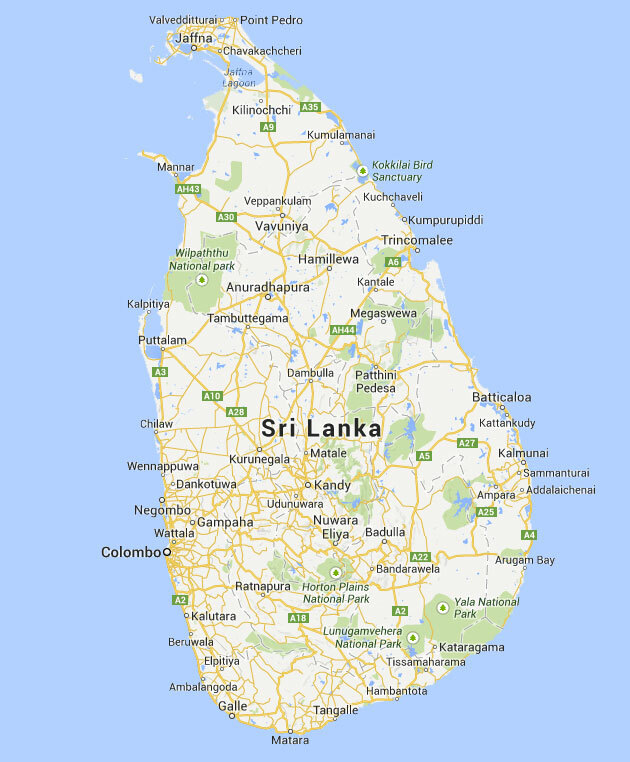 Cuba and Sri Lanka both are members of Non-aligned movement. Cuba hosted the 1979 Non-Aligned Summit and played a leading role. Since the establishment of its revolutionary government, Cuba has been playing a prominent role in international affairs. Sri Lanka and Cuba continue to enjoy excellent bilateral relations. The two countries cooperate closely and exchange views at various international including United Nations. The close friendship both late Prime Minister Sirimavo Bandaranaike and late President J. R. Jayewardene had with late Cuban leader Fidel Castro is widely known among the people of both countries. In August 1959 Commander Ernesto Che Guevara, the Minister of Industry of the new Government of Cuba paid an official visit to Sri Lanka. President J.R. Jayewardene visited Cuba in 1979 to participate the 6th Non-Aligned Movement Summit held in Havana. President J.R. Jayewardene paid an official visit to Cuba again after attending the 8th Commonwealth Heads of Government Meeting (CHOGM) in Bahamas in 1985. In 1976, Vice President Dr. Carlos Rafael Rodríguez visited Sri Lanka to attend the Fifth Non-Aligned Summit held in Colombo Sri Lanka. Cuba and Sri Lanka have entered into number of bilateral Agreements including an agreement on Cultural Exchange signed in 1976 and an Agreement on Scientific and Technical Cooperation signed in 1978. The execution of Scientific and Technical Collaboration started in 1987 with the arrival of the First Cuban medical brigade in Sri Lanka. Other exchanges and cooperation in fields such as education, sports, culture, science and technology are continuing. Cuban doctors had made a valuable contribution in the medical field in Sri Lanka in the past. 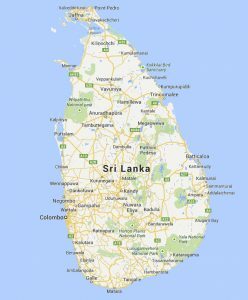 Cuban doctors had worked in hospitals in Ampara and Anuradhapura in Sri Lanka for many years and in 2004, following the tsunami they came forward again to help the affected community in Sri Lanka. Cuba and Sri Lanka have been working closely in a number of areas bilaterally to enhance economic and scientific cooperation. However, this cooperation has not reached to its potential and both countries need to work closely to transform existing excellent political relations into an economic partnership to receive maximum benefits. Cooperation especially in the sectors of Health, Education and Biotechnology are important and could be developed further. The Higher Education sector has been a good example of cooperation between the two countries. Cuba has so far granted, over 100 scholarships in different specialties to Sri Lankan students to study in Cuba. Most Sri Lankan students have used their scholarships offered by the Cuban Government to study medicine in Cuba. In 2005, a new Agreement on Scientific and Technical Cooperation between the Ministry of Science and Technology of Sri Lanka and the Ministry of Science, Technology and Environment of Cuba was signed by the Hon. Prof. Tissa Vitarana, Minister of Science & Technology. In March 2008 Hon. Prof. Tissa Vitarana and his delegation visited Cuba and had discussions on bilateral cooperation in Science & Technology. On 2nd November 2016 Hon. Susil Premajayantha, Minister of Science, Technology and Research and the Cuban Minister of Science, Technology & Environment have signed a new MoU on Science & Technological Cooperation between Sri Lanka and Cuba to promote further collaborations. In January 2018 the First Session of the working group under this MoU was held in Havana. During this meeting several areas were identified for broadening and consolidating bilateral cooperation in the field of Science and Technology. – Minister of Science, Technology and Human Resources Development, Bernard Soysa had visited Cuba at the invitation of the Communist Party of Cuba in May/June 1995. – Hon. Prof. Tissa Vitarana, Minister of Science & Technology visited Cuba on 14.02.2005. – The Speaker, Hon. Chamal Rajapaksa, visited Cuba on 28th March to 2nd April 2013. – Hon. Alavi Moulana, Governor of the Western Province visited Cuba on 21st to 27th October 2013. – Hon. Rajitha Senaratne, Minister of Health, Nutrition & Indeginous Medicine visited Cuba on 22nd April to 27th April 2018.